The European Union H2020 Smart Cities and Communities (SCC) programme has funded 14 Lighthouse projects with a total of 40 Lighthouse Cities to demonstrate how smart technology can deliver sustainability benefits to cities and their residents. These projects are monitoring and assessing the impacts of interventions in cities across Europe in order to provide evidence that will support wider uptake and replication. 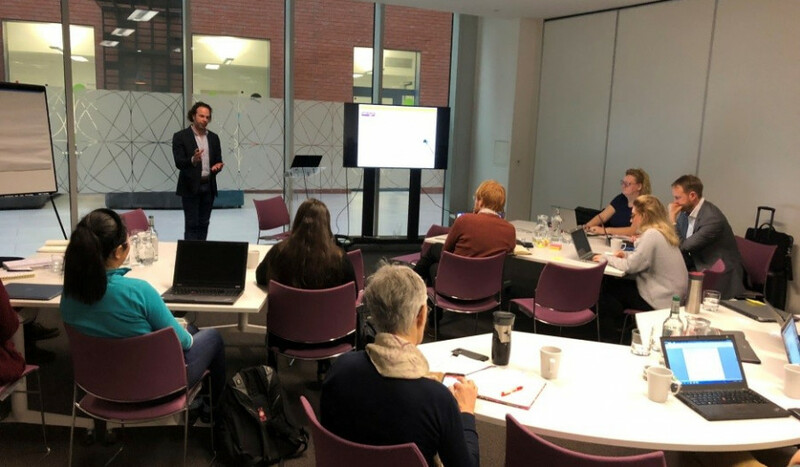 This is a timely opportunity to share learning and drive optimal monitoring and assessment activities, as the projects originally funded in the first year are now entering their fifth and final year, whilst the final projects of the programme have now begun. 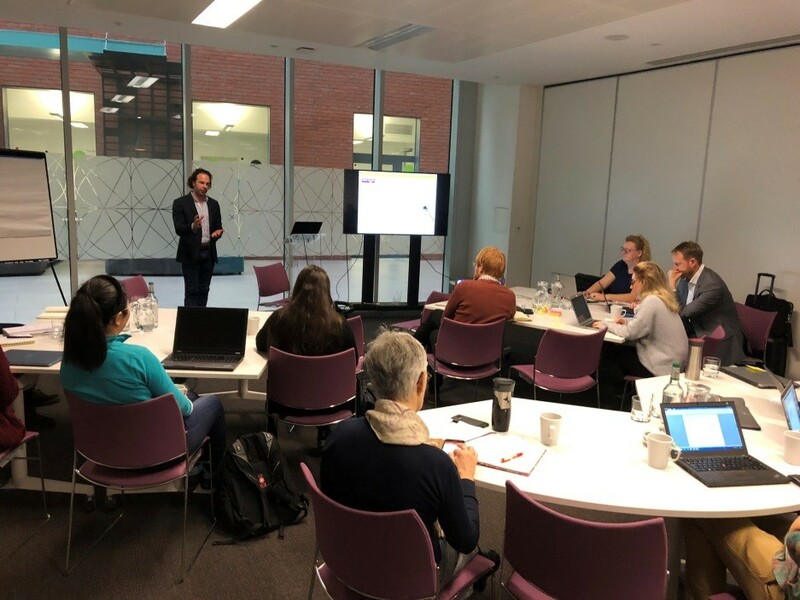 The Impact Monitoring and Assessment Exchange was held on 7th March 2019 by Triangulum and the Manchester Urban Institute at the University of Manchester. A total of 17 participants attended with five of the SCC projects represented: RemoUrban, Replicate, Sharing Cities, IRIS and Triangulum. The workshop was aimed at colleagues responsible for monitoring and assessing impacts in the SCC Lighthouse projects, as well other key stakeholders and interested parties. It provided an opportunity to exchange approaches to monitoring and assessing impacts, and to discuss challenges and opportunities. The goals were to share best practice among the SCC Lighthouse projects and develop a shared agenda. The workshop was small and interactive to facilitate sharing ideas and expertise. Key topics were communicated in advance with attendees to focus the exchanges. Exchange 1: Approaches to monitoring and assessment, including five short bursts from the SCC projects represented. Exchange 3: Data and indicators. Exchange 4: Conclusions and next steps. Process learning has been identified by Lighthouse City partners as the most important and lasting outcome of their participation in the SCC projects. Process learning involves organisations changing the ways in which they work in response to new experiences, and presents a major opportunity to accelerate the uptake of smart city solutions. Process learning has not been fully recognised or captured within the existing funding and project frameworks. Capture and measure process learning and exploit as a use case. Partner organisations involved in SCC projects have learnt how to become smarter through new ways of working in partnership (inter- and intra-partner organisation). This is one the most valuable assets to come out of the lighthouse projects in terms of leveraged benefits and legacy. Capture process learning around soft impacts (esp. social impacts). Showcase the importance of stakeholder engagement and social impact methodologies and develop into a use case for replication. Identify how process learning facilitates leveraged investment and activities (e.g. new ways of working enable further project investment). Exploit potential for cross-SCC project collaboration in relation to process learning at a meta-scale. This activity realises value in two ways. First it enables vertical and horizontal project-project learning, and second it can be used to produce recommendations for how to transform processes to accelerate smart city adoption. The Exchange organisers have disseminated these ideas as an output to the European Commission and will develop a work stream to address process learning in the final year of the project. The monitoring and assessment work package will also hold a follow-up workshop in late 2019 to consolidate the process learning work stream, including mechanisms to share and feed into the data and replication work packages. Finally, the potential to establish a cross-SCC process learning taskforce will be explored, in order to evidence the added value of the SCC programme and support the development of tools and methods to capture and leverage this value.